BSA B33 500cc STARTS For The First Time After 25 YEARS In A Shed!!! 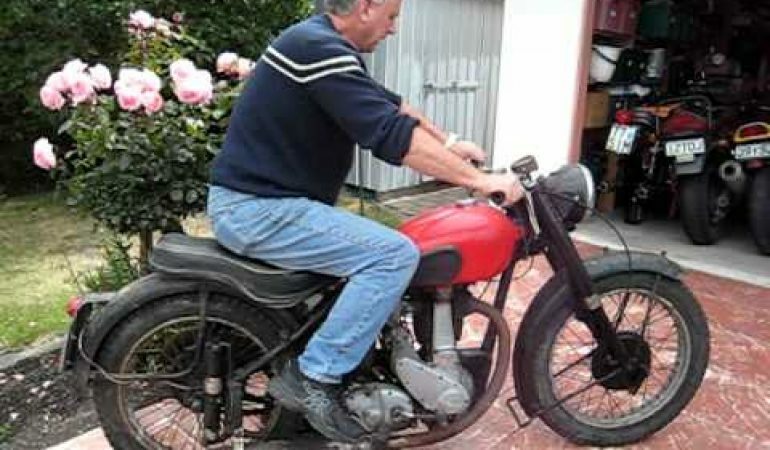 Watch as this guy starts a 1951 BSA B33 500cc, after it had been sitting in a storage shed for over 25 years. The owner mentions in the description that nothing was done to the engine other than cleaning the magneto points, some CRC in the cylinder a few days before and cleaning the old plug and probably some fresh fuel. He also had to cover some bare wires after the insulation had rotted off. It started pretty easily for a bike that has been sitting for so long!